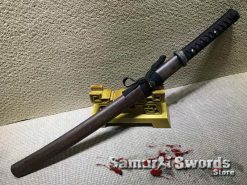 Only official samurai or swordsman in feudal Japan can wear the Wakizashi and Katana together. Because of their difference in size these pair are known for big or long sword. 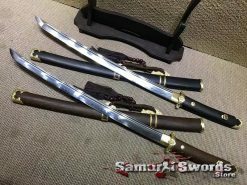 Samurai Wakizashi forms the second pair referred to as Daisho. 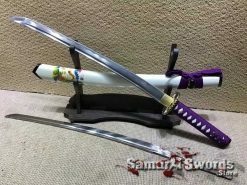 Literally, these swords are known as big-little. 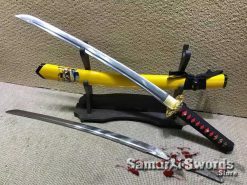 These swords are different from each other in length. 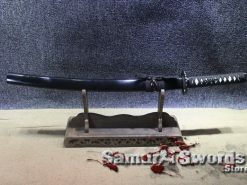 Japanese Wakizashi has been used as early as the 15th or 16th century. 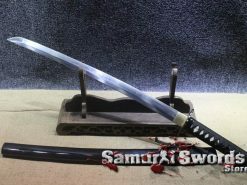 Aside from being used as a backup sword it is also used at times in committing ritual suicide or better known as honorable seppuku. 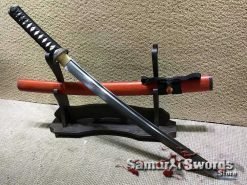 Wakizashi sword is just one of the short swords used by samurai. 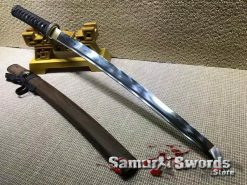 It was only until the Edo period in 1638 when the rulers of Japan regulated and clear up which among the short swords should each social class wore. 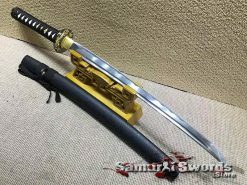 Officially they team up Katana with Samurai Wakizashi. 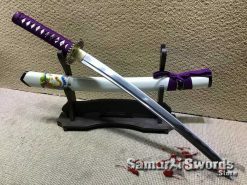 This sword is used mostly for indoor fighting. 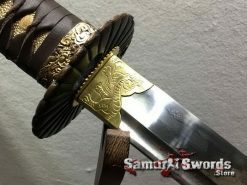 This sword is worn on the left side secured to the waist sash. 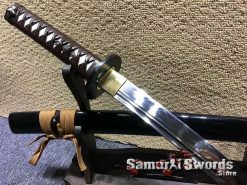 While it was the privilege of the Samurai class to wear this sword, merchants and similar class were given the freedom to wear legal length Wakizashi or Ko-Wakizashi. This was a practical way of protecting those who travel to ward off attack from bandits. 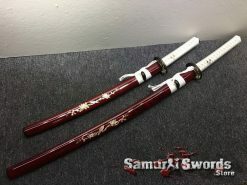 Being the legitimate owner of these daisho swords became a symbol of power because of the positions acquired because of it. These were worn during the Tokugawa period which started in 1603 to 1868. 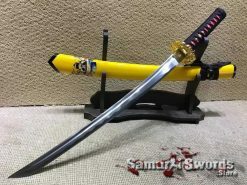 There were other uses for this sword like a way to decapitate defeated enemies. 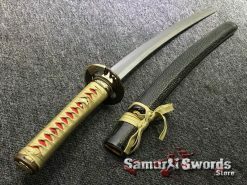 Some foreigners who are familiar with the use of Wakizashi during seppuku refer to this as the Honor Blade. 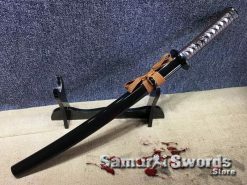 Wakizashi was an important and honored weapon. 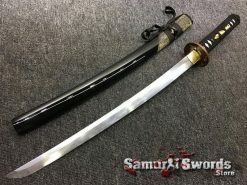 When a samurai is born this sword is with him. The same thing can be said when he dies. It lays beside him on the coffin. In between birth and death, this sword stays with him as he sleeps by his pillow. It is a symbol of his physical strength, loyalty and discipline as a warrior. Because of its razor sharp edge this allows the warrior to do quick precise cuts and thrusts when it is time to fight for battle. 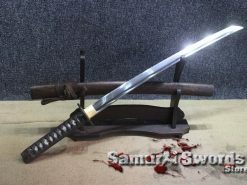 The warrior uses this sword when he mounts his horse just like the use of a bow and arrow. 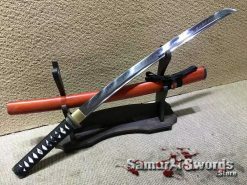 Suffice to say, that the Katana bearing samurai will not leave behind his small sword. 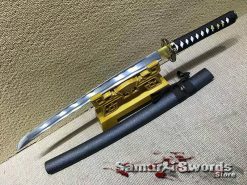 This may be small in size but, it comes handy at times especially when it is a disadvantage to use the longer Katana. 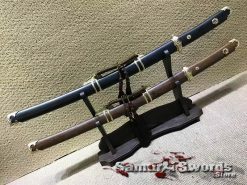 During the peacetime years of the Edo period, the daisho became a status symbol. 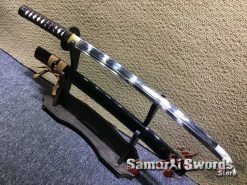 Only members of high society were allowed to wear both the Katana and Wakizashi. 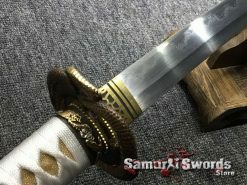 Sword owners were allowed to use different set of fittings depending on the occasion or season. It was during the Edo period when elegant fittings were introduce. There were designs that show rich inlaid, precious metals, new alloy and sculpted scenes were incorporated in producing these swords. 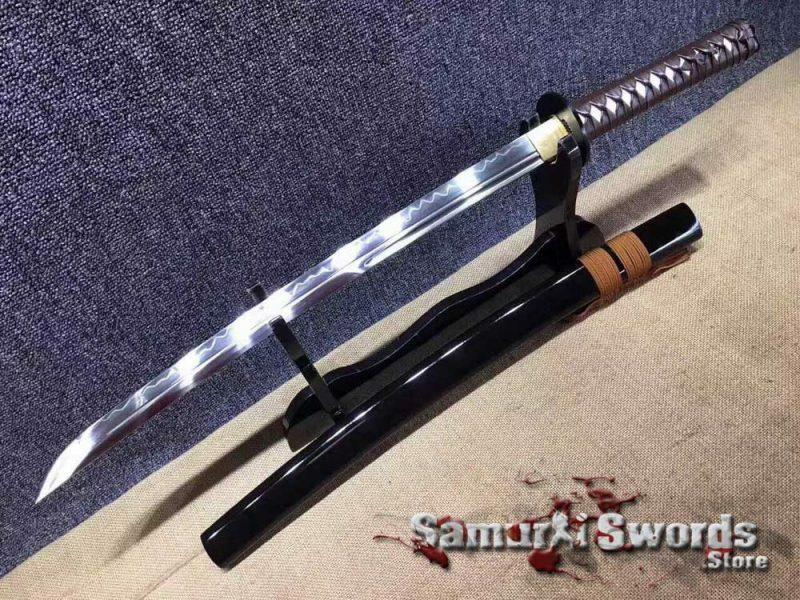 In Japan, the process of producing Wakizashi is a refine and well-respected art. 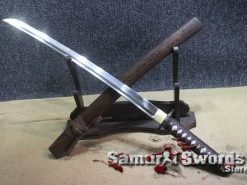 It takes a ritual process and the swordsmith must undergo decades of training to be able to execute this to perfection. 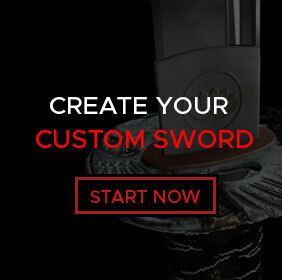 To make a sword, the swordsmith heats blocks of steel. He hammers, folds, cuts and forges this. For good measure he re-forges it again to drive out impurities so that a finely layered blade without brittleness is produce. After the forging process he uses a grinder and finally a polisher. 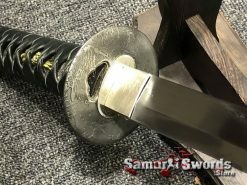 The result: Wakizashi with a unique structure and razor sharp edge. 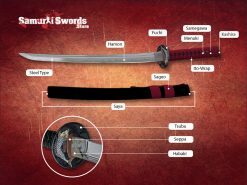 Designs for this sword has change and evolve. 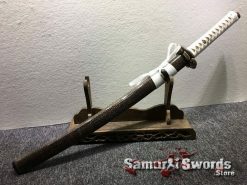 From its traditional form the emphasis was given to create a sword for a functional purpose. 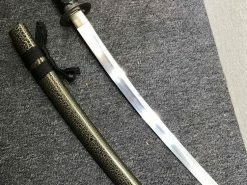 Collectors value certain attributes found on these modern Wakizashi which includes authentic ornamentation and superior blade strength. 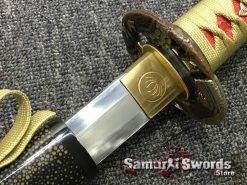 This comes with decorative embellishments and ornamentation to match the tsuka. 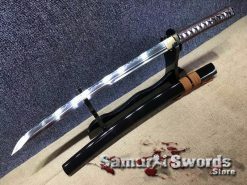 Our Wakizashi swords can be customized and you can choose any part of the sword, including the steel type, fitting, coloring, engraving, polishing and a lot more. 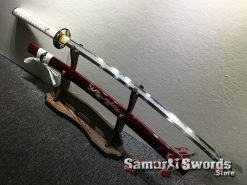 Most Sought after pieces are those that are hand forged with clay tempered blade. There are cases when the old is mixed with the new. Modern models merges the elegance of old world swords with a fresh modern steel to it.